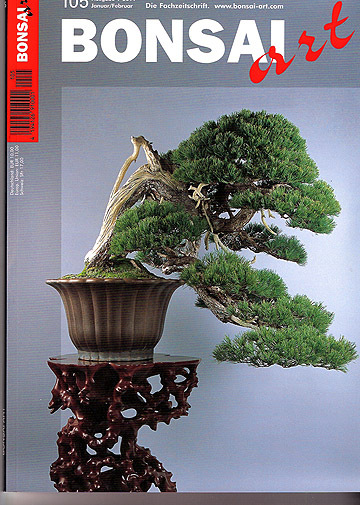 Last year my book Post-Dated: The Schooling of an Irreverent Bonsai Monk was translated and featured in the German bonsai magazine, Bonsai Art. Bonsai Art is similar to Bonsai Focus. The book was translated by Heike van Gunst and serialized in the magazine over eight installments in 2010. I’ve discovered that many ‘books’ used to be serialized first in magazines, before making a real book of the manuscript. Most of the Dickens novels were serialized, with chapters published weekly. Anyway, it seems I’ve done this backwards… but it was great fun and I thank Heike for her translation, and Bonsai Art head editor Ivo Druge for his support of the project. In more recent news, there are Portuguese and Spanish book versions in the works. If you’re unfamiliar with my book, check out the Book: Post-Dated page. “Book form”? Is that like a blog but more papery? Seriously Michael, I enjoyed the book and am passing it around here in the islands.